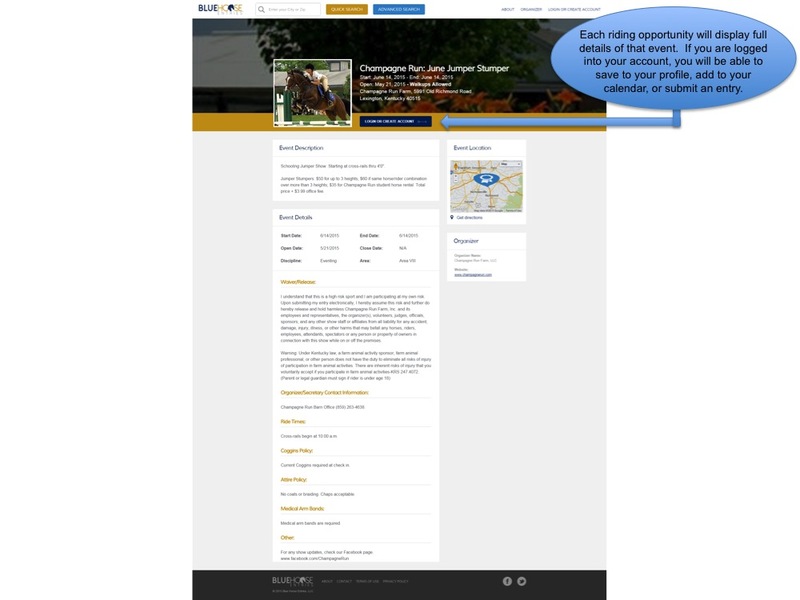 The Hitching Post Farm Fall Horse Trials is the last event in Area 1 and a great place to finish up your season! Please consider a trip to HPF if you want to have a fun and encouraging last competition. 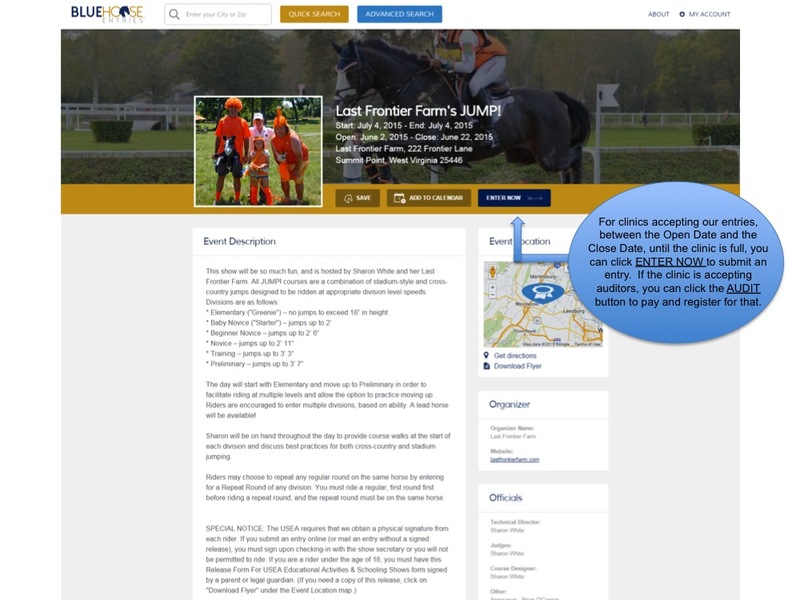 Fun courses, great prizes and a happy atmosphere. 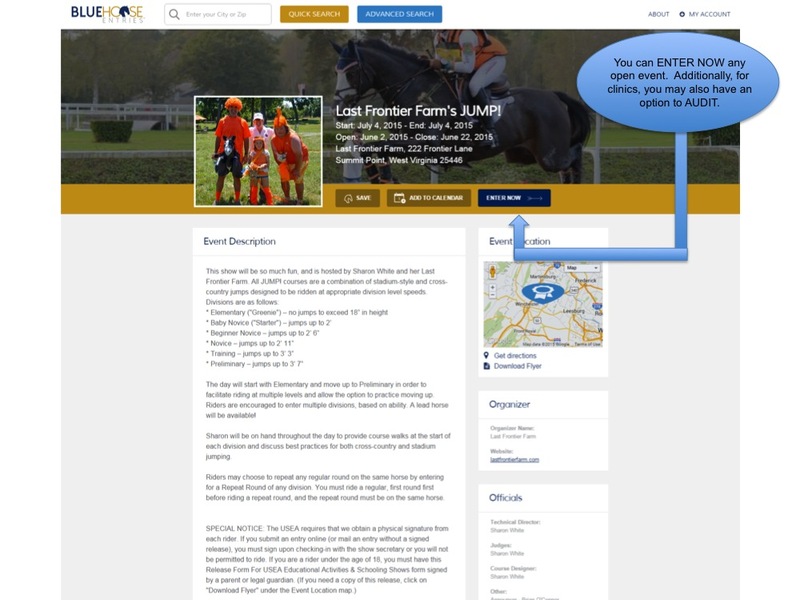 A properly signed 2018 USEA Horse Trials and Classic Series (R2017) Events Entry Form must be uploaded and provided for each horse. If you need a copy, go to www.useventing.com/competitions, or you can you can find under "Download Flyer" tab for this listing. 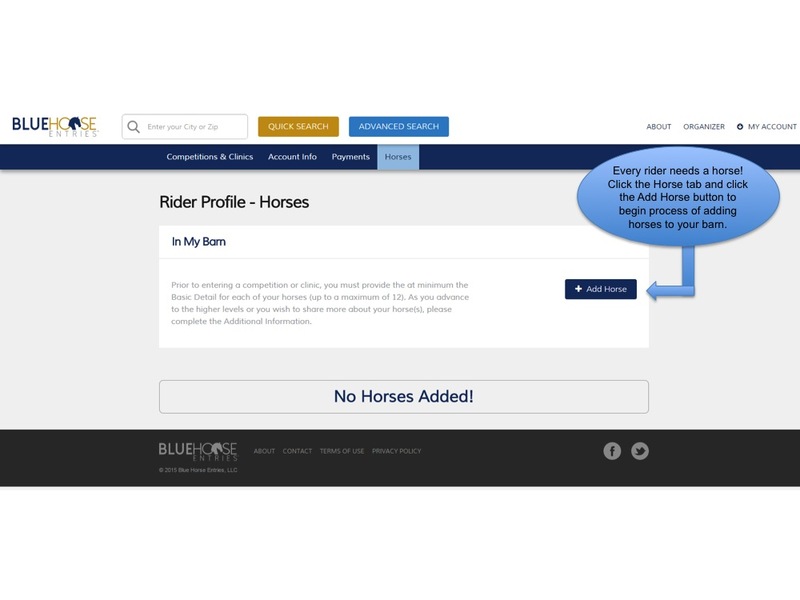 If any questions on how to upload your signature page and signed release, please contact Blue Horse Entries at entries@bluehoreseentries.com. 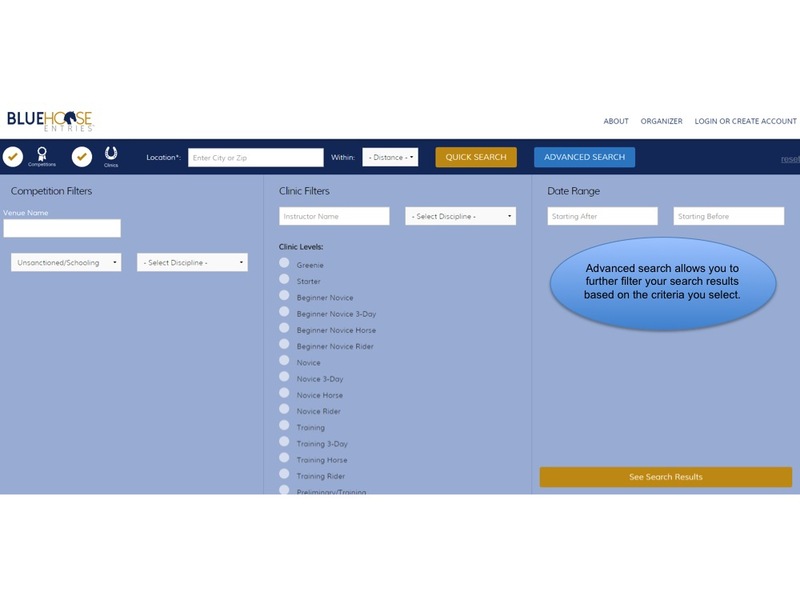 Refunds: Before C.D.-Less $25 non-refundable office fee; After C.D.-Entry/Stabling-No refund. 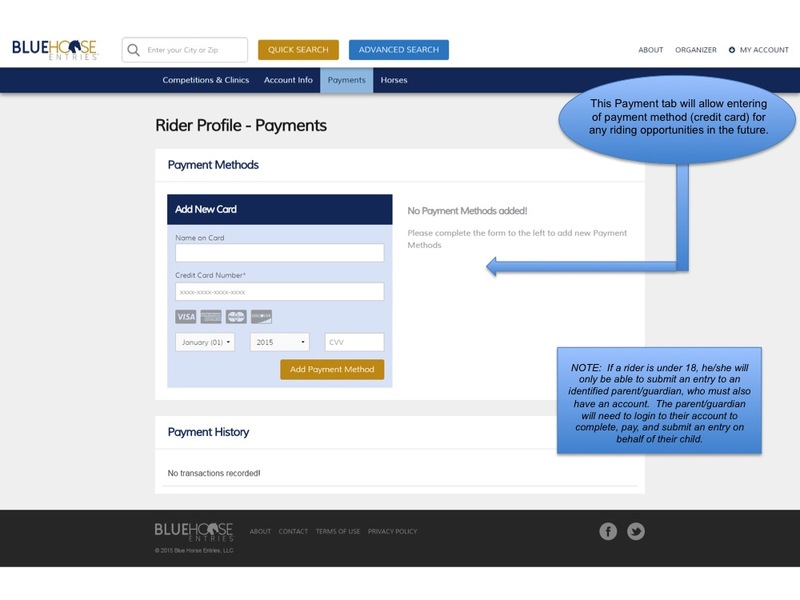 All refunds must be requested via email. 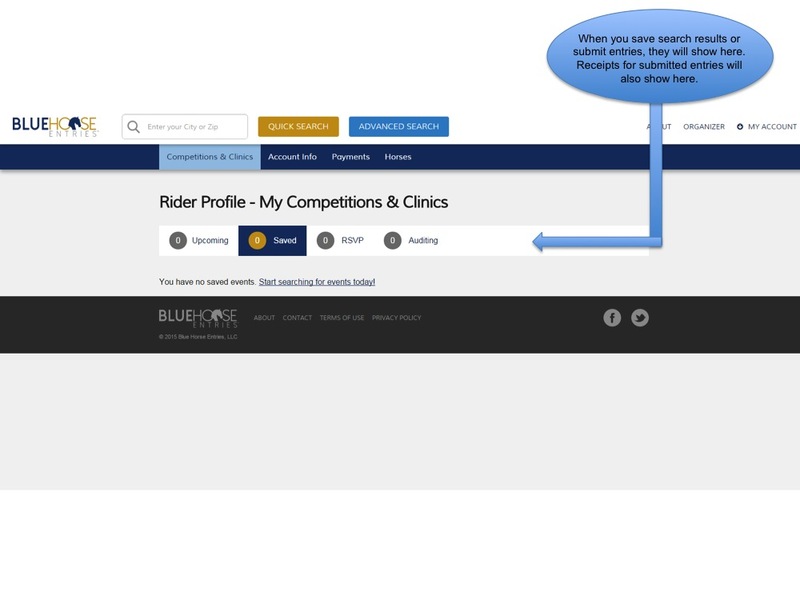 Competition cancellation-No refund. 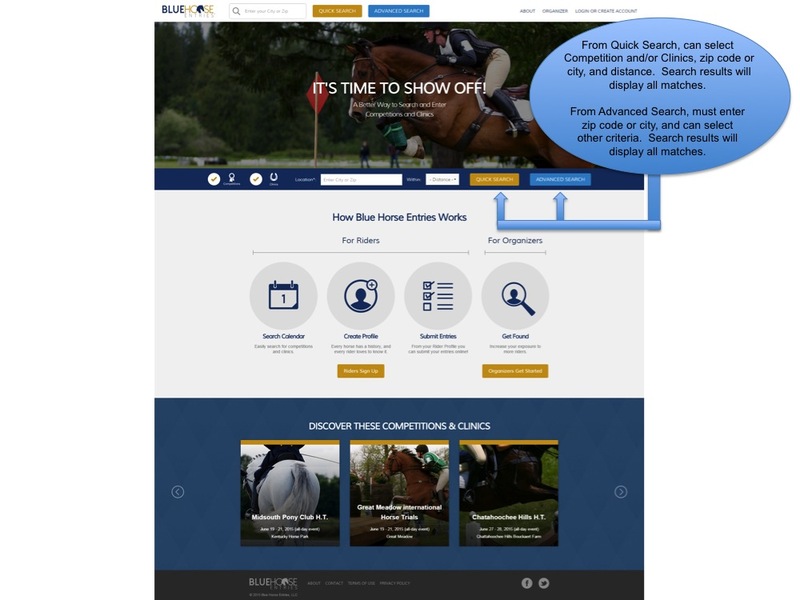 USEA Starter and D&M Fees Refund Policy: The USEA Starter and D&M fees ($21), are not subjected to office fees, and shall be returned within 30 days of the competition to any rider who does not start the dressage test. 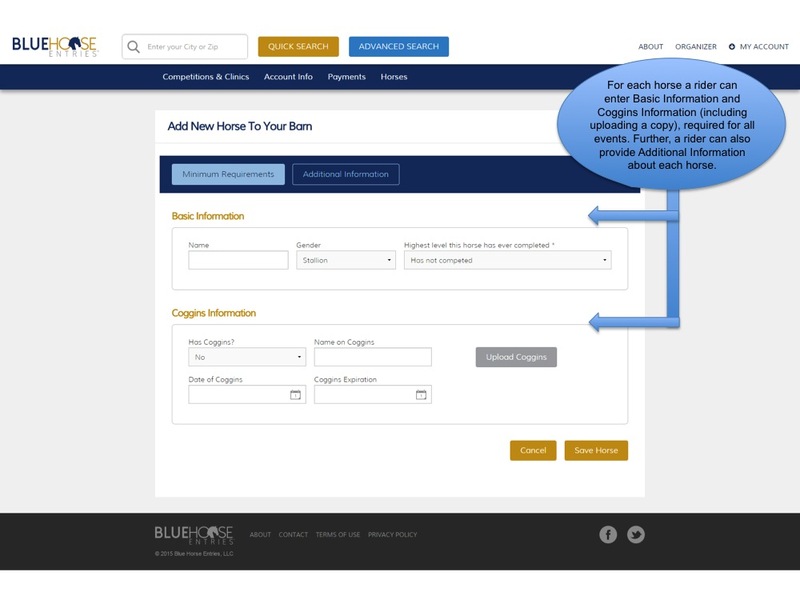 All entry fees include a $25 non-refundable office fee. 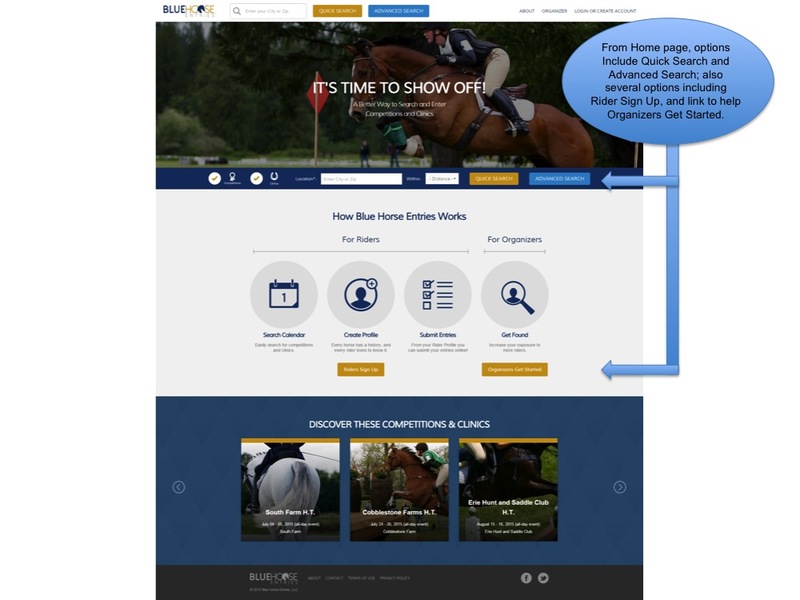 USEA current membership (Junior, Collegiate, Full or Life) and horse registration (Limited or Full) are required at all levels. 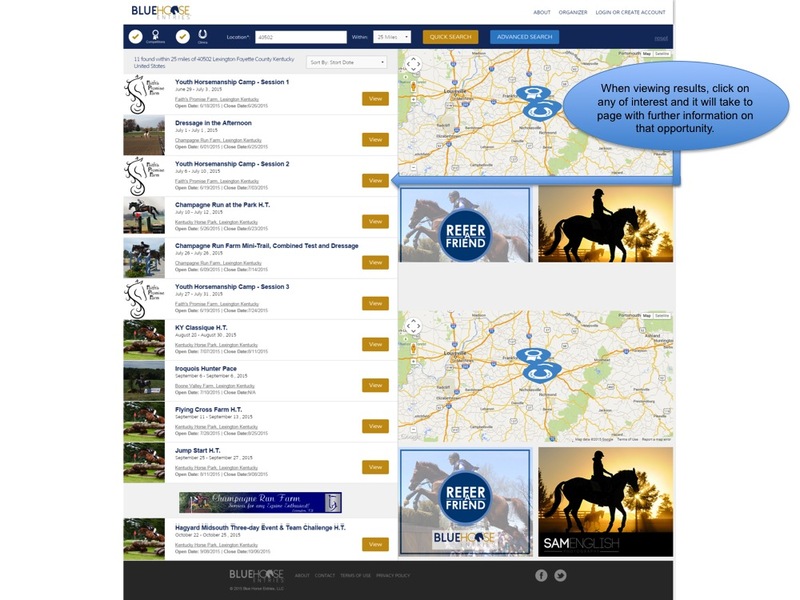 ONLINE entries accepted through Blue Horse Entries. 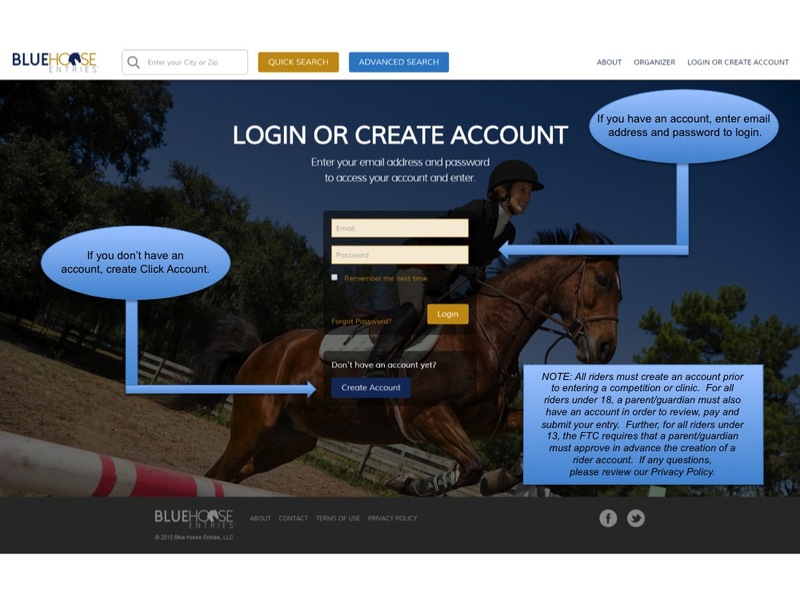 If you have submitted an entry through Blue Horse Entries in the past, just update your information and you are ready to begin your entry. 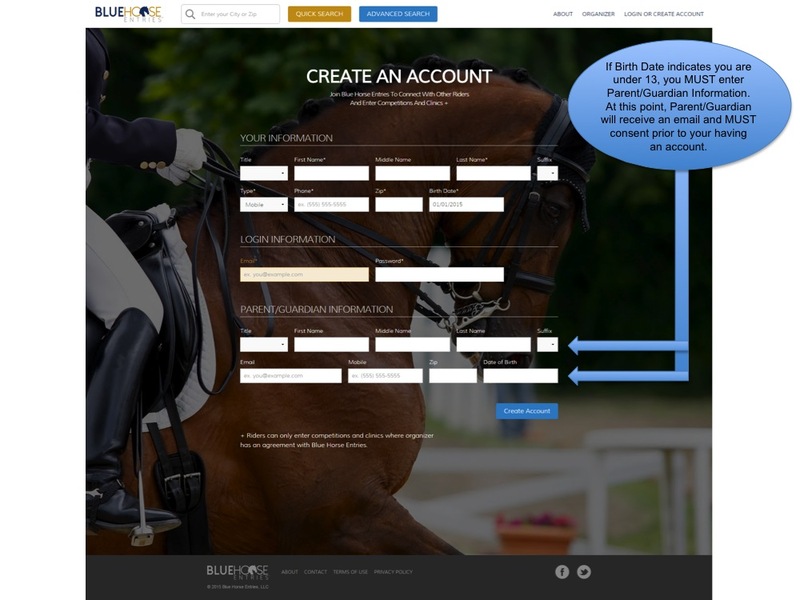 If you are new to Blue Horse Entries, you will first need to create a rider account. 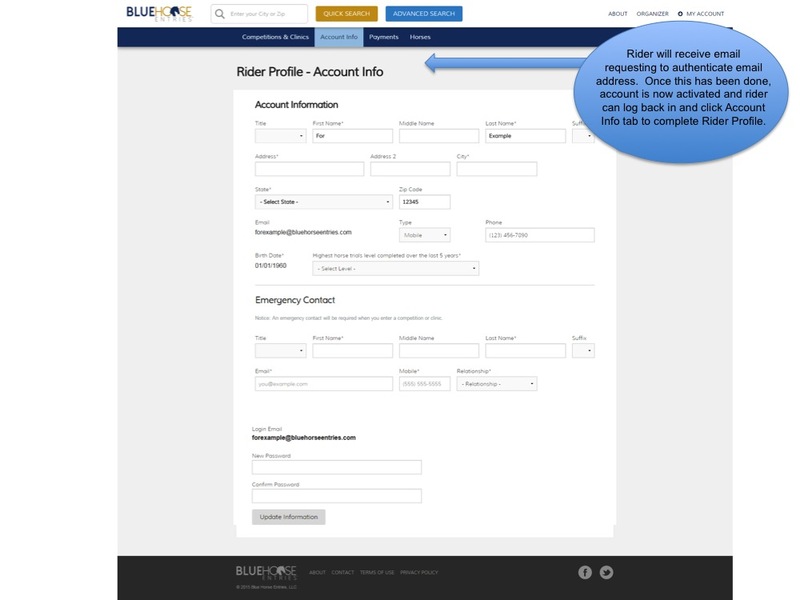 If you are a parent/guardian for a rider under 18, you will need to create an account for yourself, and add your rider to your account. It's fast and simple! 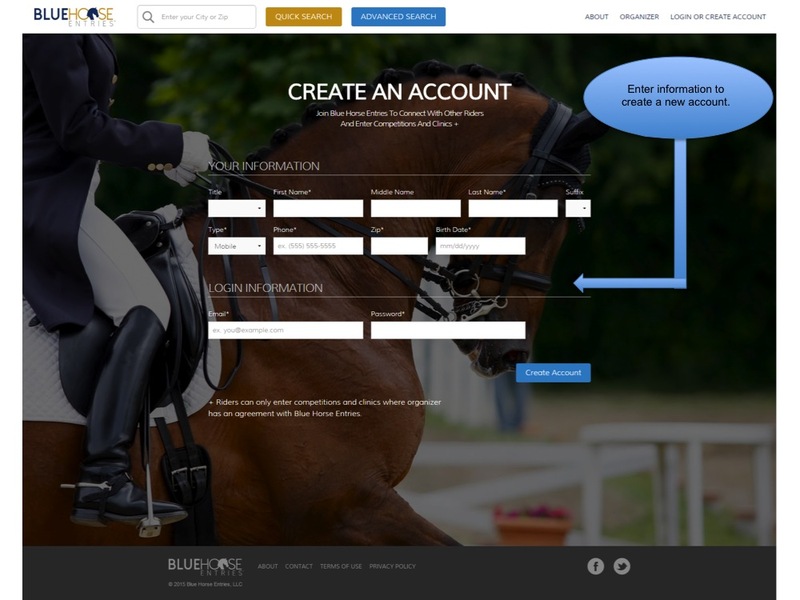 If you need any assistance submitting online entry, email ridewithus@bluehorseentries.com.